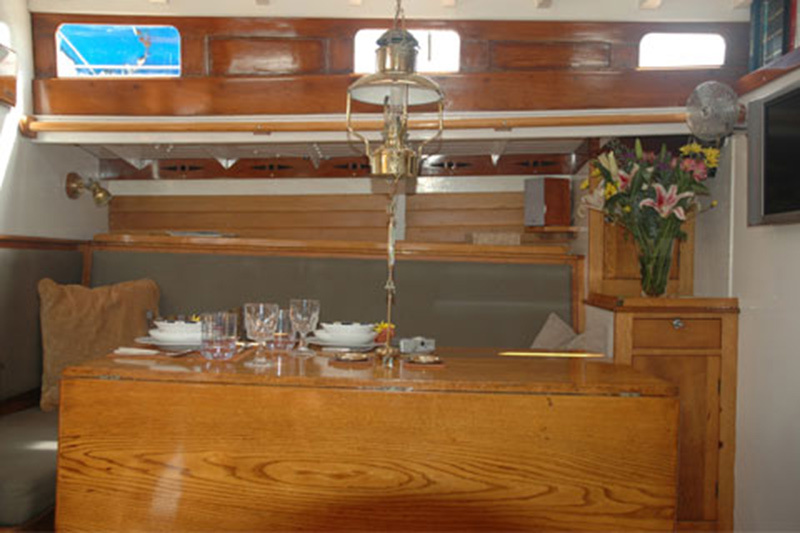 Guests max: 6 persons for week charter trips, 14 persons for day cruises, 10 persons can participate in a regatta, up to 20 people can be hosted for receptions. Realize a dream and come on board of SY Lone Fox! Designed as a sporty racing yacht, Lone Fox accommodates up to 6 persons for longer trips and for day cruises or regatta 10-14 persons can be hosted on board. 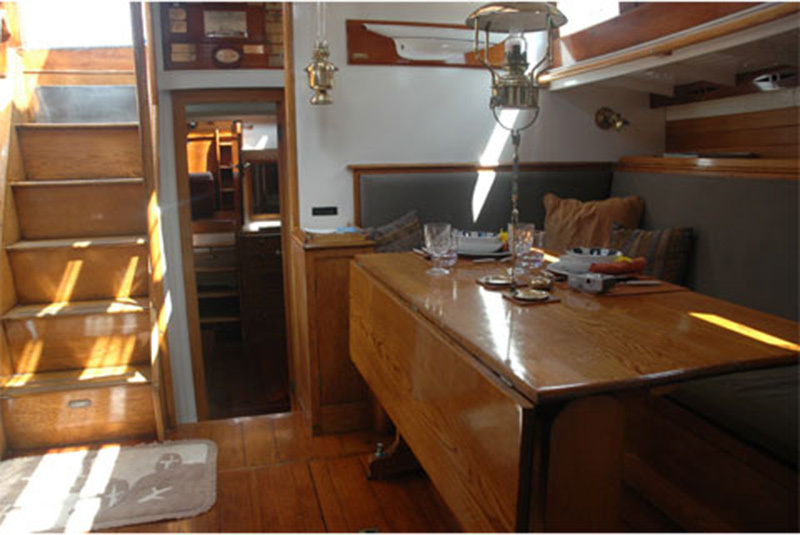 In 2002, 45 years after Lone Fox was built in Scotland, her complete and extremely professional refit was finshed with paying close detail to the original style and standard. Furnished in light English oak wook, the interieur gives you a warm welcome. 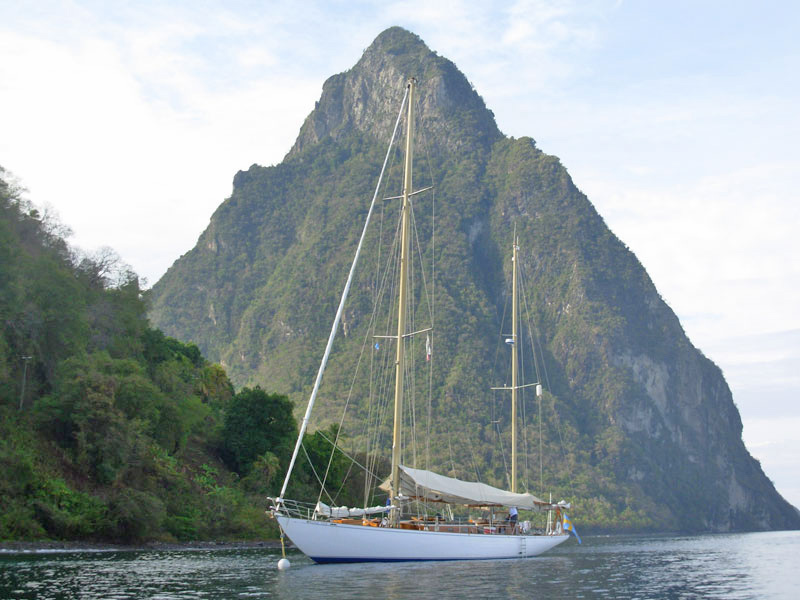 The crew of Lone Fox consists of owner and captain Ira H. Epstein, who has 50 years of sailing experience, and first mate and engineer Guillaume Touhadian. Guillaume was born in France and gained his extensive knowledge and experience on sailing areas by surfing and sailing the oceans for years. You will be delighted by the excellent and friendly service he provides! 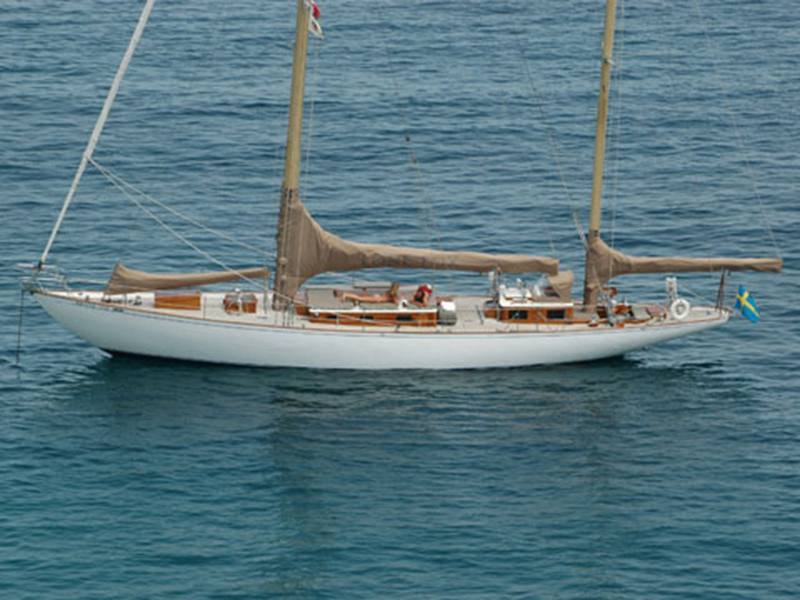 This classy 65ft ocean racing yacht was designed by yacht constructor Robert Clark. 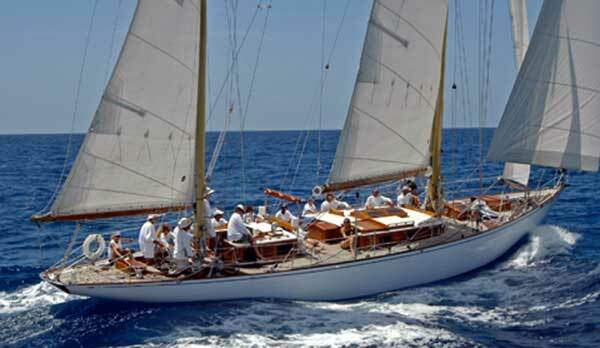 She was built in 1957 by the shipyard Alexander Robertson and Sons in Scotland for Colonel Whitbread who was the founder of the famous Whitbread Round the World Race. Lone Fox has a long and glorious regatta record. 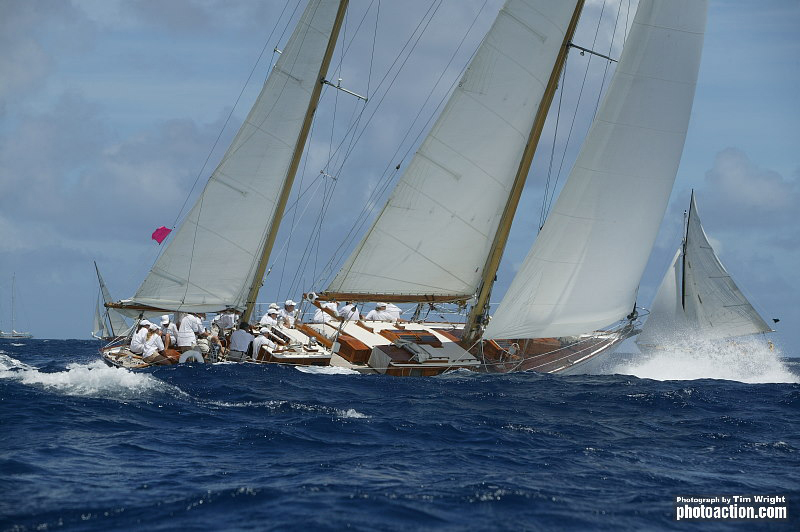 For instance, the overall victory at St Maarten Classic Regatta 2008 and first class at Antigua Classic Regatta 2008. 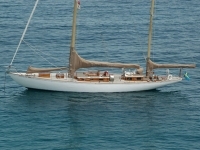 During the latter Lone Fox was nominated for the forth time in series as „Best Performance Charter Yacht“. 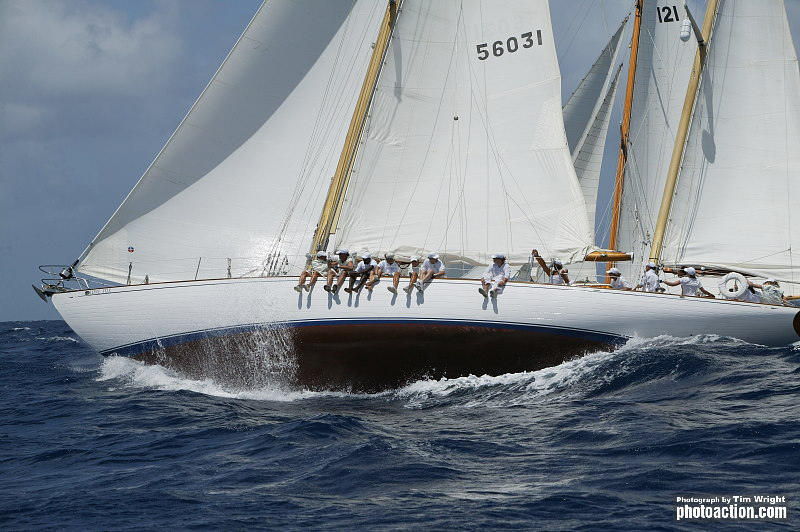 Also in more recent years, she won various overall victories in the classic regatta season in the Caribbean in 2010/2011. Lone Fox is the embodiment of regatta sport! 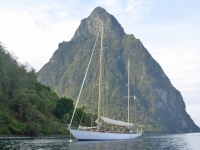 LOA m / ft: 19,5 m / 65 ft.
LOD m / ft: 18,6 m / 62 ft.
LWL m / ft: 13,2 m / 44 ft.
Lone Fox sails in the Caribbean. 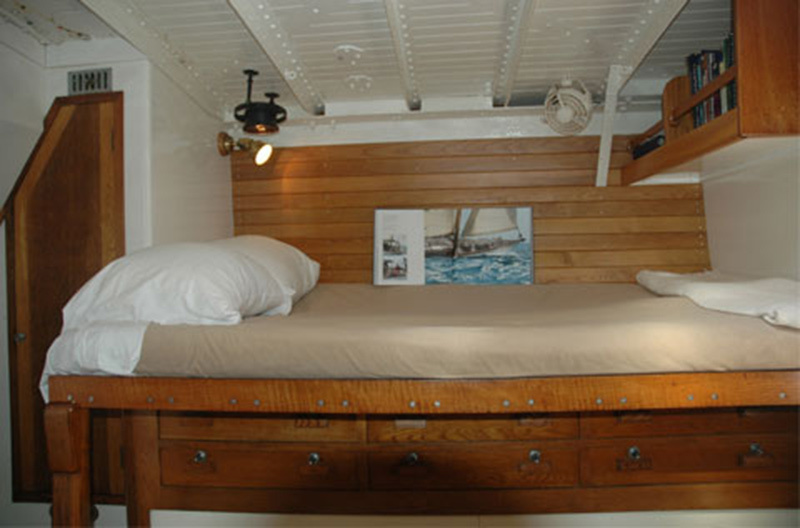 Lone Fox can be booked for day cruises, weekend trips or whole week charters as well as for any individual short trip suited to your wishes. 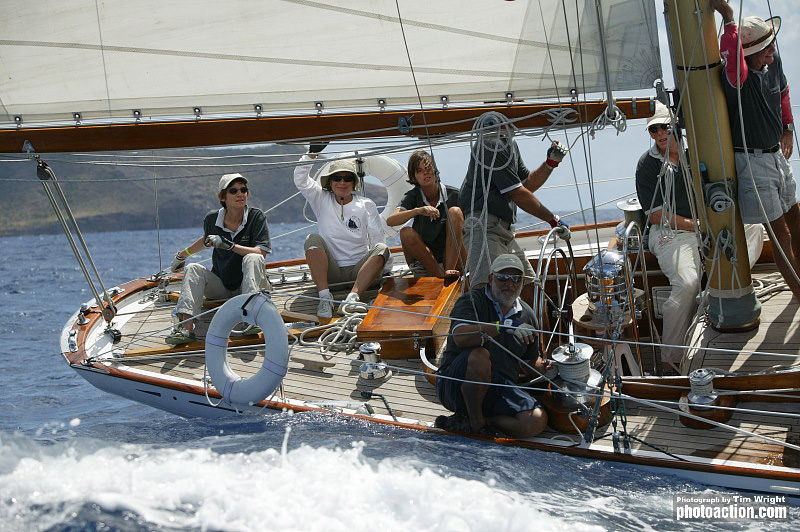 Being a racing yacht though, you should experience Lone Fox in a regatta! 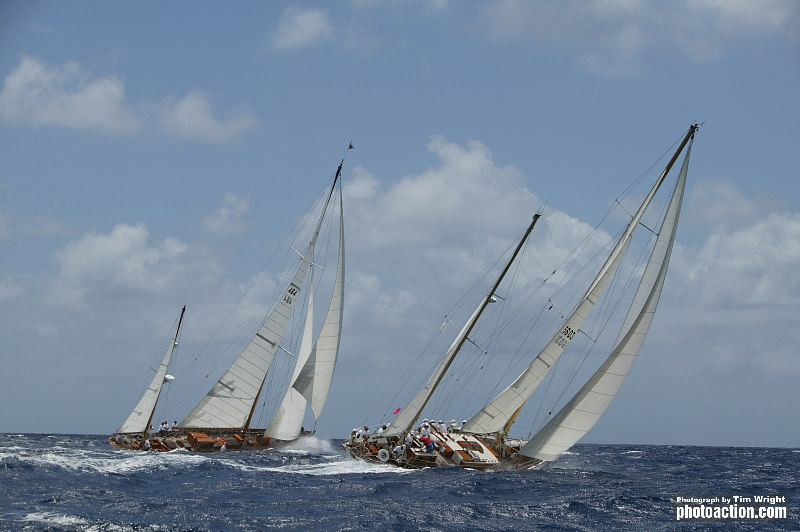 You can participate on this beautiful vintage racing yacht in any classic regatta in the Caribbean. By request, we also offer snacks and drinks or even a full catering. 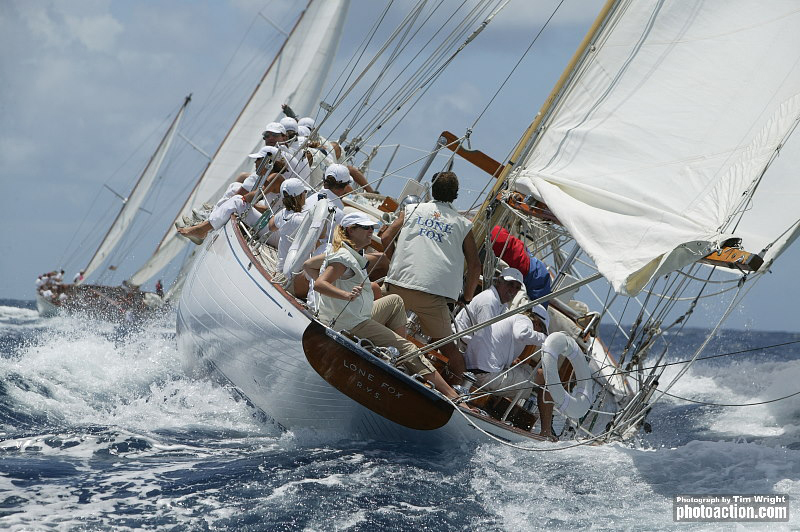 If you are interested in experiencing the grandeur and speed of this beautiful classic ocean racing ketch, please contact us and let us know about your plans and wishes and we will get back to you with an offer that suits your needs! 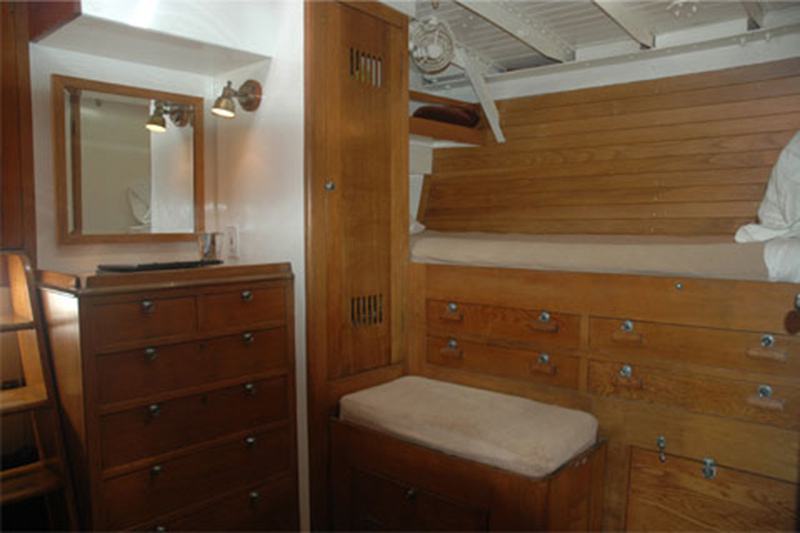 Interested in Classic Yacht Lone-Fox?